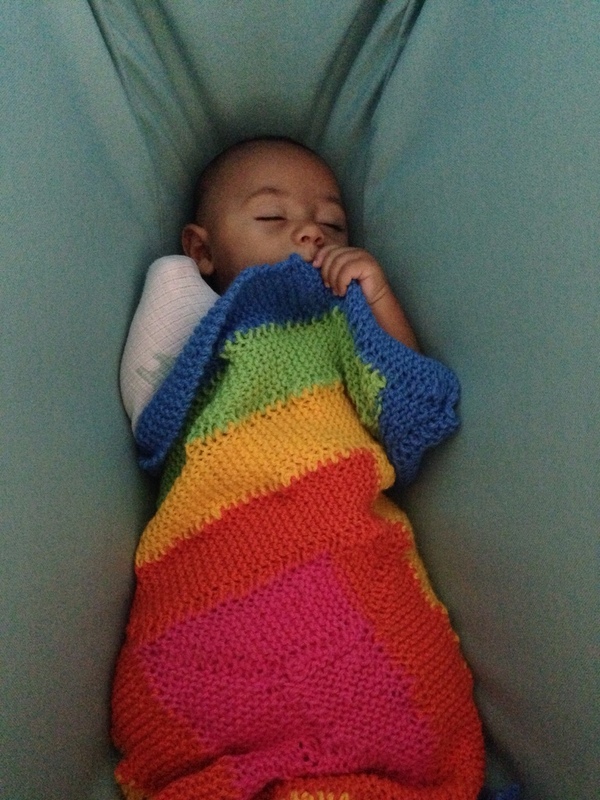 Sleeping in his hammock, cuddling with the rainbow blanket made by Laura. 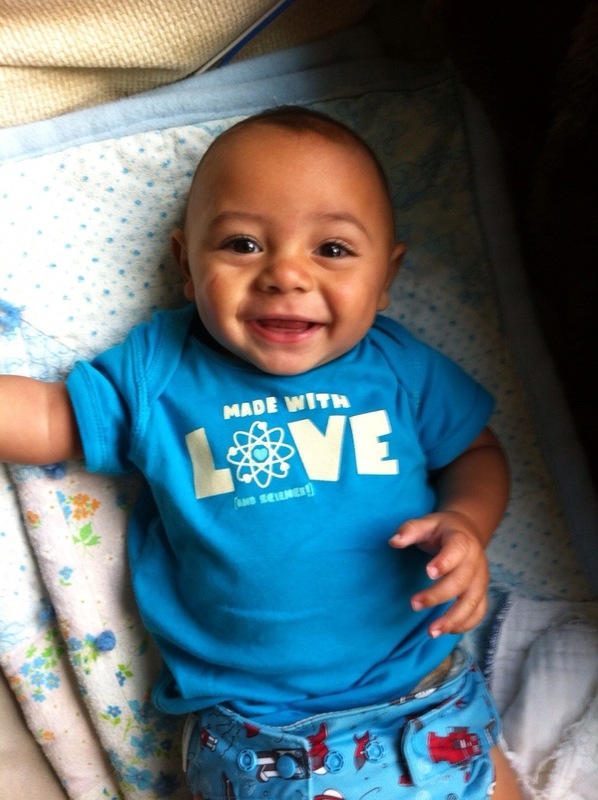 As the onesie says - he's truly a miracle of science, but born of lots and lots of love. 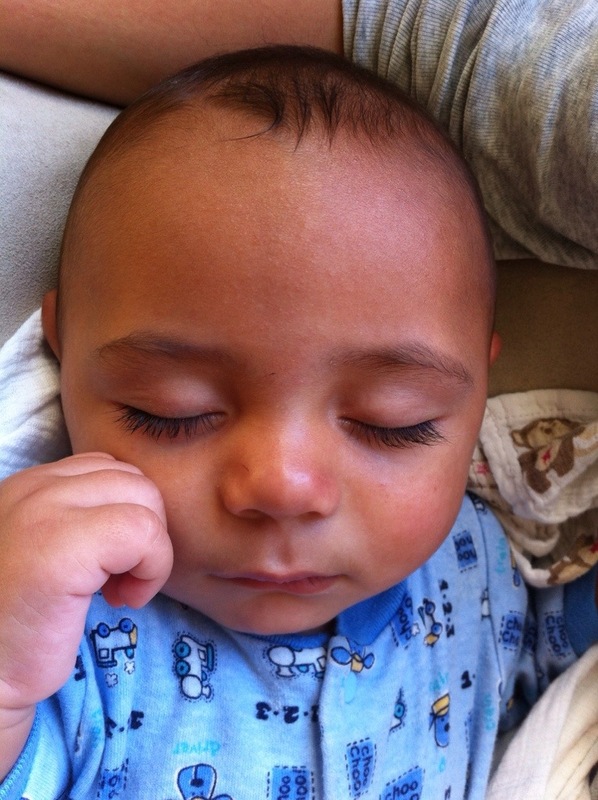 His eyelashes are UNREAL. Lucky kid.